Many of us were dumbfounded to discover Neo was a hack-n-slash system VS the traditional turn-based RPG styling we're accustomed to, especially when it came to true "Shining" titles. To some, Neo started as a negative and still to this day remains a negative. For others, it started negative, but after playing Neo for a while it became tolerable or even for some, highly enjoyable. I really enjoy the characters, storyline, etc. that Neo brings. It's not a classic like previous SF releases, but it's still very entertaining. To me anyway. I also love the battle system, even if it is hack-n-slash style. If SEGA/Neverland released another Neo, I would probably prefer another battle system just like this one, but I think many others would love to see it go back to the old ways (turn-based). What would you want if there was a 2nd Neo? I'd say the old strategy style , however if they pumped the number of allies you could have in battle keeping the current system would be acceptable. Can you humans not see the world is suffering? Life is pain, you just get use to it. The goal of life is living in agreement with nature, speak to the earth and it shall teach thee. Last of the Wolven Guardians. Maybe a 2nd Neo with 4-6 new/more characters. Using perhaps 5 of them in battle at once. It won't have a sequal why because it has'nt sold well. it, how often do you change your underwear?" I'd appreciate either a turn based system, or the "tradition" RPG battle system. Minos @ Tue Nov 29, 2005 3:34 pm) wrote: I'd appreciate either a turn based system, or the "tradition" RPG battle system. Or, if done right, an action RPG/Tactical RPG hybrid. It doesn't have to be 12 character battle system, but maybe there could be parts where it's an action RPG, and then certain parts where it's a strategy RPG. That sounds interesting... I have no idea how they would make it work though. I'd love to see a sequal to Neo as I loved it (Although having more than three people in battle at once would make it way too easy if you ask me. They'd have to ramp the difficulty up if we were allowed more people in our party at once if it were hack n' slash), and like most of us if any new Shining game came out I'd like to see it return to its sRPG roots, but if I were a sequal to Neo I highly doubt they would change the battle system. Why go through all the trouble when they could just say Shining Force 4? Because it's part of Neo and to show it's not got the same battle system. Ala Suikoden Tactics and FF tactics. And so on. This is the consensus of most Shining fans. I myself hate a hank-n-slash battle system. At first, I was extremely turned off by that element of Neo, but after I started playing, I couldn't stop. It's not for everyone, but many Shining fans enjoy Neo, and a select handful (like myself) absolutely find it a pleasure to play. I would love to have an edition of "turn-based" style, but to be honest, if a 2nd Neo was the same battle system, I wouldn't be upset. It's really more than just hack-n-slash - there's a complex items/weapons configuration. The degree of difficulty is a challenge. The game takes patience. It's far from a cakewalk. if they continue the NEO series, they should carry on what they are doing. simply because then I can try and imagine the NEO series as a separate entity from the true force series. Neo should continue down the same path, and sega should return the true SRPG style force series to life with shining force 4. Yeah, that'd be my vote as well. Now, if they continue the Neo series I'd want it to continue the way it is while they do something else if they want to revive the strategy Shining Force. That way it confirms that Neo is nothing more than a strange abbaration. NEW ORDERS, " Bizzare love triangle" is the greatest song ever! 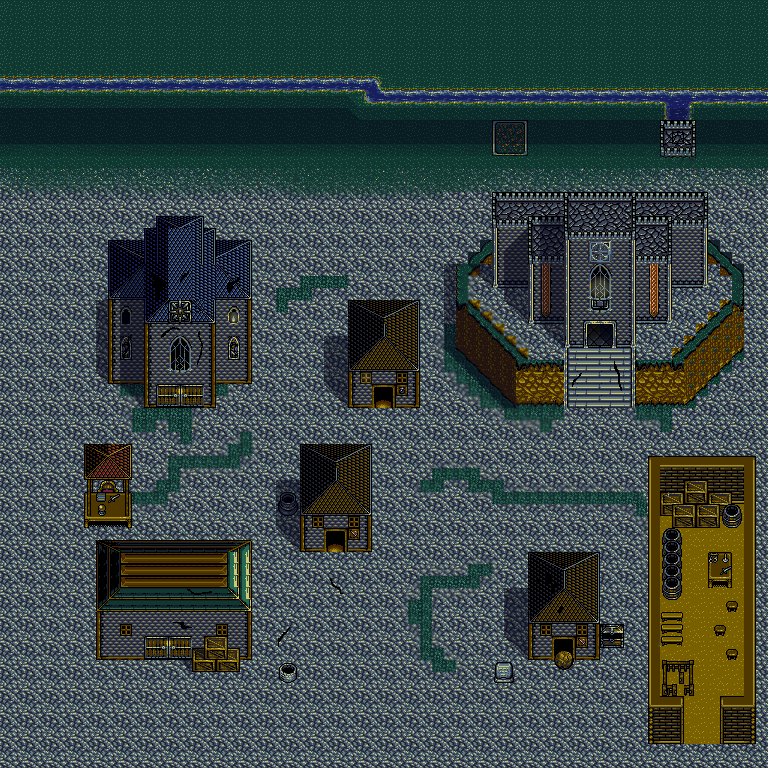 I played up to the prison section and stoped- i plan to pick it up again- after i finish RE PLAYING Shining Force 2. Is Neo a good game? Yes. Does it come close to the real thing? No. We should beg for Golden Sun Tactics. 2. Is Neo a good game? Yes. Does it come close to the real thing? No. I myself love Neo, but you're 100% right, it's nothing in comparison to the original Shining games, especially SF1 & SF2. I always thought if SEGA (or whoever makes their games now) just simply kept the same exact battle system as SF2 - just enhanced the graphics and had a sh*tload of new characters, they'd have another classic in the making. You're in for a treat. I had trouble with that "level" I guess you could call it. Make sure you level up as much as possible before you get too deep in there. So I suspect you're not a fan of the Neo genre. Nothing wrong with Neo itself. It's just that I fear the Shining Series. may have to pay a high price for it.